Refined cabin built for functionality and comfort, with a full leather interior to indulge in. The JURID brake pads offer a consistent pedal feel for a satisfying driving experience. Sporty red calipers accentuate the WRX's high-performance look. When you buy a WRX, you buy into Subaru's rally-winning heritage boasting three Manufacturer WRC titles and three WRC Drivers titles. 460ℓ boot space with the ability to fold down the seats for additional storage. Powerful 2.0ℓ DIT Boxer engine delivering 197kW and 350N m of power. 5.9" Multifunction display unit with turbo boost gauge. With the superior grip of the legendary Symmetrical All-Wheel Drive (SAWD) System, the Subaru WRX is ready for any road or rugged mountain ahead. It grips the road with all four wheels, all the time, giving you double the traction capability, greater precision and even more cornering power, unlike other 2WD competitors. 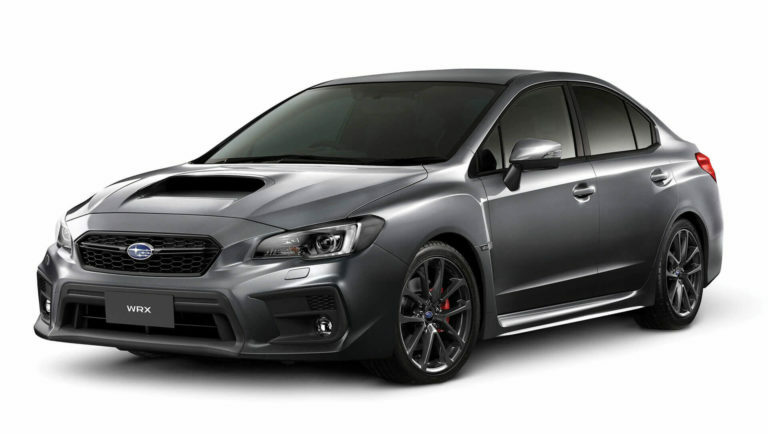 The turbocharged Subaru WRX adapts its driving styles to suit your day, thanks to Subaru Intelligent Drive. Choose from Intelligent mode for everyday driving, Sport mode for enhanced acceleration and sporty performance, and Sport Sharp mode for a truly exhilarating drive. While you’re reverse parking, the side view monitor indicates the distance from the pavement or a parked vehicle. The rear-view camera scans the road behind you and alerts you if anything is in the way. And for optimal front visibility, we have equipped the WRX with an additional front-view monitor. 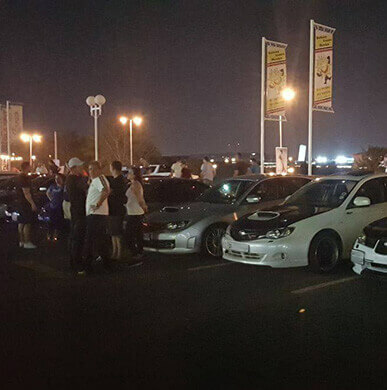 Chassis designs for the WRX feature exceptional stability and lightning quick response. The high-tensile steel frame and the suspension system – fine-tuned with stiffer stabilisers, quicker spring rates and stiffer pillow ball bushings – offer better overall control. The result is an unprecedented connection between driver, car, and the road. 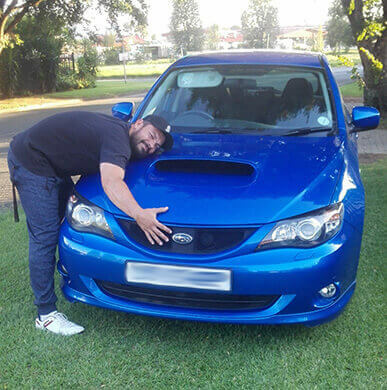 The impressive Boxer engine performance of Subaru WRX is at the core of its appeal. 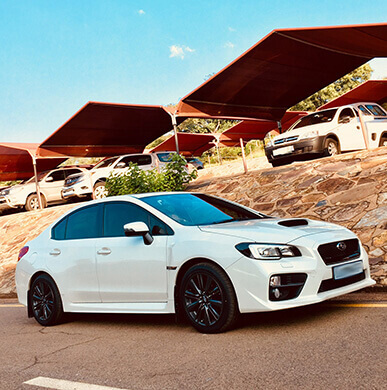 Sitting lower and flatter in the engine bay, the famous Subaru Boxer engine is designed to create less noise and vibration in the cabin, while the lower centre of gravity improves stability and traction on the road – meaning you can corner with even more confidence. In the event of a head-on collision, the Subaru Boxer engine and transmission are designed to absorb impact and then break away from the vehicle structure and drop below the passenger cabin for added protection. Rear view and front view cameras ensure unlimited visibility. 5-star safety awards from Euro NCAP, JNCAP, ANCAP. Vehicle Dynamics Control is an electronic device that prevents the car from skidding when it experiences a loss in stability. The Subaru Ring-Shaped Reinforcement Frame sees the pillars, body-side frames and floor cross-members positioned in a ring-like layout, all connected together to form a super-strong, protective safety cell. Eyesight Pre-collision braking, Adaptive Cruise Control, Lane departure & sway warning, Lead vehicle start alert, Pre-collision throttle management. The atypical 0-100km/h test for the atypical sports car. These surface tests were conducted in Squamish, British Columbia on 16 and 17 June 2017. The time posted for each surface was the fastest of multiple runs.